^ （英文） Zimmer, Carl. Nabokov Theory On Butterfly Evolution Is Vindicated. 紐約時報. 2011年1月25日. Vladimir-Nabokov.org – Site of the Vladimir Nabokov French Society, Enchanted Researchers (Société française Vladimir Nabokov : Les Chercheurs Enchantés). "Nabokov under Glass" – New York Public Library exhibit. Herbert Gold. 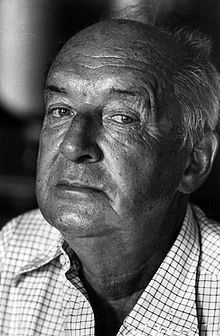 Vladimir Nabokov, The Art of Fiction No. 40. The Paris Review. Summer–Fall 1967.